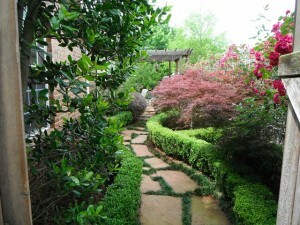 Bill Kennedy Landscape is fortunate for many reasons, but the number one reason is our clients. They are the reason for our continued success! It doesn’t seem that long, but BKL has been in business 14 years this January! Our clients remain happy because of our committed service teams. BKL employees are conscientious about service, and openly care for the landscapes we manage. Please read through a few remarks from our clients. 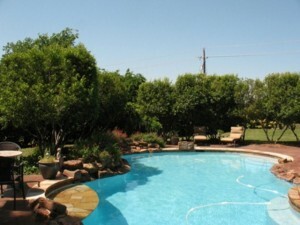 Lots of positive comments from homeowners about the removal of the old landscaping around the pool deck. We are very pleased with the work the BKL crew did on that job. Hello Gail — We have really enjoyed the landscaping BKL did for us this spring — it held up well through the summer. Gail, the guys are here and I just wanted to let you know how much I appreciate Victor and the team’s helpfulness and professionalism. I was home on and off this morning and they have been so helpful, just like you! I have been meaning to email you and tell you how happy I am with the landscape. It looks terrific! I wrote a review for you on SuperPages and will see about writing some others. I am happy to act as a referral for you if you ever need it. Gail, they were here this morning and finished the mulch, added the rocks, did the back fence rail, and moved the bush out front… great job. We are very pleased with the professional attitude, neatness (they did a terrific job of cleaning up), and work ethic of your employees. Just wanted to thank you and your staff again for the flowerbed. It looks great now, and your staff did a great job. The team does a great job, thanks again for all the hard work and attention to detail. I’m very impressed with the depth of these reports, and the pictures and explanations sure help Thank you for being so thorough! Just finished paying this invoice on-line. Your team did a fabulous job. Thank you so much. We appreciate the attention to the list of concerns presented on the community walk-through. Keep up the good work! I wanted you to know that we will be hiring you again! You did a fabulous job, thank you! People knock on our door to ask who did our landscape. That’s a lot for someone to stop and compliment our yard. They always tell us we have the most beautiful yard in the neighborhood. Thank you! The guys do a SUPER GREAT job! Thank you so much. I want you and the rest of BKL to know I really appreciate your excellent customer service and the ability to communicate with you via multiple means. Keep up the good work — in the field (yards) and in the office! The guys arrived at 11:45 and were done by 1:20 and did a great job with the yard clean up on Saturday. It looked good enough for a magazine. Thanks again for staying on top of our requests and for the good work. Please let the guys know they did a fabulous job on the clean up, they worked so hard and got the work done very fast.